At Bob Moore INFINITI, our goal is to make sure you get into a dependable luxury vehicle at a great price. That’s why your preferred Oklahoma City car dealership has an ever-changing selection of quality certified used cars available in Oklahoma City. Plus, all of our Certified Pre-Owned vehicles come backed with added value for a premium car ownership experience. Come see why we are your preferred used car dealership in Oklahoma City, not just for Certified Pre-Owned INFINITIs, but also for a great selection of used cars, trucks, and SUVs. Stop by our dealership today and let one of our friendly sales associates show you all the quality used cars we have onsite. Our Oklahoma City car dealership proudly serves all drivers in the Norman and Edmond areas. When you’re looking for a new luxury vehicle you think about quality and dependability, but did you know a Certified Pre-Owned INFINITI can have the same qualities as a new vehicle? 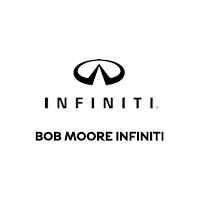 When you buy a Certified Pre-Owned vehicle from Bob Moore INFINITI you get added peace-of-mind with the INFINITI Certified Pre-Owned program. All our Certified Pre-Owned vehicles have the luxury and performance of a new INFINITI with the costs of a pre-owned vehicle. Each of our Certified Pre-Owned vehicles come with a rigorous 167-point inspection and a 6-year/unlimited mileage warranty. You will also have the added peace of mind of knowing that each of our Certified Pre-Owned vehicles is less than 6 years old and has under 70,000 miles; in addition to having a clean CARFAX® vehicle history report. Visit Bob Moore INFINITI today for an impressive inventory of Certified Pre-Owned used cars in Oklahoma City, OK.
We have a large selection of used cars available, so stop by and see us today. You can also browse our inventory online and compare your top choice side by side before you come in. If you find a vehicle that you are interested in, then you can save it to an online profile, and you can access your saved cars on any device to see the status. You can even get a notification if the vehicle is sold or if the price changes with new offers. We have a great finance team that can help you with any used car loan, and we also offer convenient online tools to help you figure out the right used vehicle for you. Plus, you can use our online trade value tool to help you discover what your vehicle is worth. Then, you can use that information along with the convenient payment calculator to determine possible future monthly payments. We are here to help get you the best vehicle and deal possible to fit your needs. Learn more about our used car dealership in Oklahoma City today. If you’ve been looking for a quality selection of used cars for sale in Oklahoma City, then look no further. Bob Moore INFINITI, a member of the Bob Moore Auto Group, is your preferred used car dealership in Oklahoma City. Whether you top in and visit us today, or shop online, you’ll get a great price on all of our used cars available in Oklahoma City. Our sales staff is here to make sure you have a great shopping experience and get you in the perfect vehicle today. We proudly serve all our friends and neighbors in the Edmond, Oklahoma City, Norman and the surrounding areas in Oklahoma.